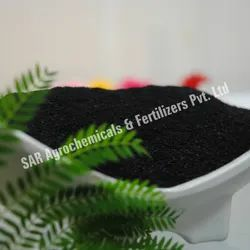 Potassium Humate Powder 95%is a highly effective soil conditioner and activator which will surely enhance the fertility and productivity of the soil. SUPER POTASSIUM F HUMATE SHINY FLAKES (Strong & Healthy Roots) has been in wide demand for the major features of it.Widely appreciated for 100% organic this has a non-toxic and environment friendly effect. Super Potassium F Humate Shiny crystalis highly soluble in water.It not only increases the fertility of the crop but also enhances the overall productivity of the crop. Super Potassium Humate Shiny Flakes(Grade 1) is the organic nutrition for all the crops. It contains Humic,fulvic acid & potassium It is alkaline and quickly soluble in water. It can also be useful for fertigation by drip irrigation/drenching and for foliar spray. 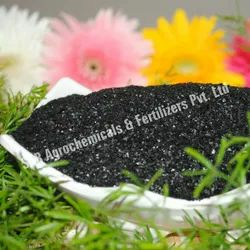 Super Potassium Humate Shiny Flakes(Super Grade) is the organic nutrition for all the crops. It contains Humic,fulvic acid & potassium It is alkaline and quickly soluble in water. It can also be useful for fertigation by drip irrigation/drenching and for foliar spray. Usage Super Potassium Humate enhances fast and better seed germination. We are a unique entity in the market, actively committed to offering the best quality range of Super Potassium F Humate Shiny crystal 98%. Our offered product is widely used as a fertilizer in the agricultural sector. This fertilizer is highly soluble in water. It not only increases the fertility of the crop but also enhances the overall productivity of the crop. In addition, the substance consists of 67 % humic acid + Fulvic acid and 14% + potassium 11. Super Potassium Humate enhances fast and better seed germination. It enhance better root & shoot growth by helping in better absorption of major & micro nutrients. It can be used by mixing with fertilizers, pesticides or fungicides and it is eco-friendly. Potassium humate flakes helps to remove & isolate toxic residues from the soil. It can be considerably restricted of damage from high sodium water by use with 250g Potassium humate flakes per acre with each irrigation. It creates pH buffering in soil and can neutralize the negative effects of pH extremes, which have a profound effect on nutrient availability. This can enhance cell division & cell elongation. Becomes facilitator, chelating applied nutrients & those already existing in the Soil. This powder is a highly effective soil conditioner and activator which will surely enhance the fertility and productivity of the soil. Our offered potassium humate powder is totally organic. 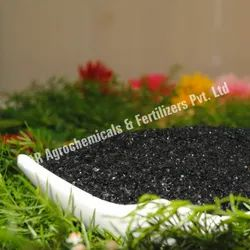 Moreover, we provide this fertilizer to our esteemed clients at affordable price.